Riesling is a wonderfully flexible grape. It is used to make dry white wines, sweet dessert wines, and everything in between. 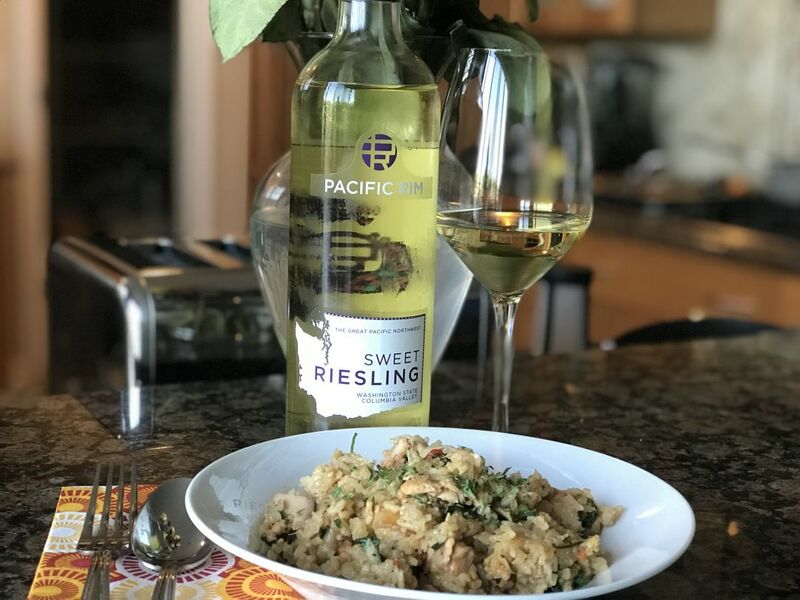 We recently had an opportunity to try a Riesling from Pacific Rim on the sweeter side of that scale. This wine is from Columbia Valley in Washington State. It is low in alcohol at 8%; the result of stopping fermentation early, leaving 7% residual sugar. This technically makes it a medium-sweet wine. For comparison, a typical dry white wine has less than 1% residual sugar, Sauternes are over 10% RS, and cocoa-cola is about 11% sugar. In previous articles, I have commented that dessert wines are treated poorly in winery tastings, as without an accompanying taste of pudding, the sweetness dominates the flavour of the wine. The same applies to the Pacific Rim Riesling. 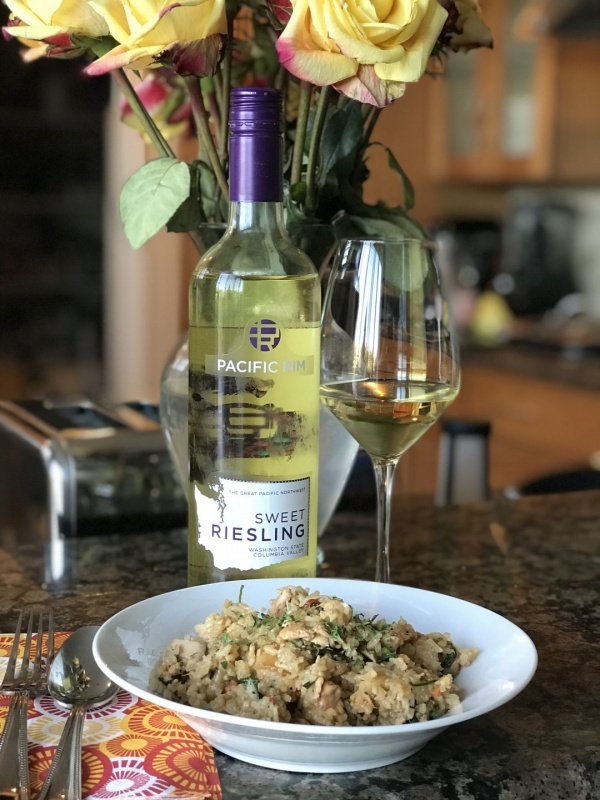 Without a suitable food pairing, we were concerned that the sugar would be all we noticed and that since neither Amber nor I have a sweet tooth, we would not give this wine a fair review. The perfect pairing for a medium-sweet wine is a spicy dish with aromatic spices like basil, coriander (US: cilantro), or lemongrass. Amber prepared lemongrass salmon with shrimp fried rice. The nose was fragrant; honeysuckle, citrus, and a waft of gasoline. I took an initial sip without the food. The wine was sweet, but not cloying, and there was more to the wine than just the sweetness. I tasted lime and ginger, with a whisper of effervesce that was unexpected. After a mouthful of the food, the second sip of the wine produced a notably different impression. The sweetness was no longer the primary component; the lime and the slight sparkle made the wine seem crisp and refreshing. In its natural habitat, paired with a complex and spicy dish, this wine shines. Even if you prefer dry white wine, you should give this a try if you want a wine to drink with spicy food. The inside of the rear-label, that is visible through the bottle shows that the producers had similar thoughts, as it shows a Chinese dragon. You can purchase from the Pacific Rim website for $12.